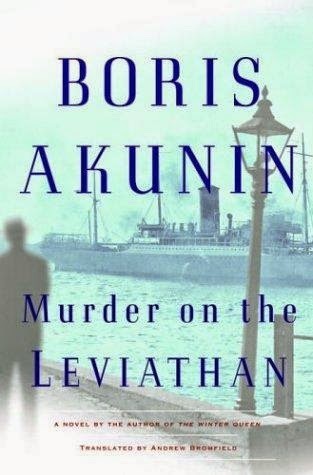 Erast Fandorin becomes embroiled in a murder mystery aboard the steamship Leviathan. One of the other passengers, Reginald Milford-Stokes, writes in a letter to his wife, “The Leviathan is the largest passenger ship in the history of the world, with the single exception of the colossal Great Eastern, which has been furrowing the waters of the Atlantic Ocean for the last 20 years. When Jules Verne described the Great Eastern in his book The Floating City, he had not seen our Leviathan—otherwise he would have renamed the old G.E. the floating village.’ That vessel now does nothing but lay telegraph cables on the ocean floor, but Leviathan can transport 1000 people and in addition 10,000 tons of cargo.” Fandorin is already in the CU, and so this novel brings in Verne’s novel The Floating City.